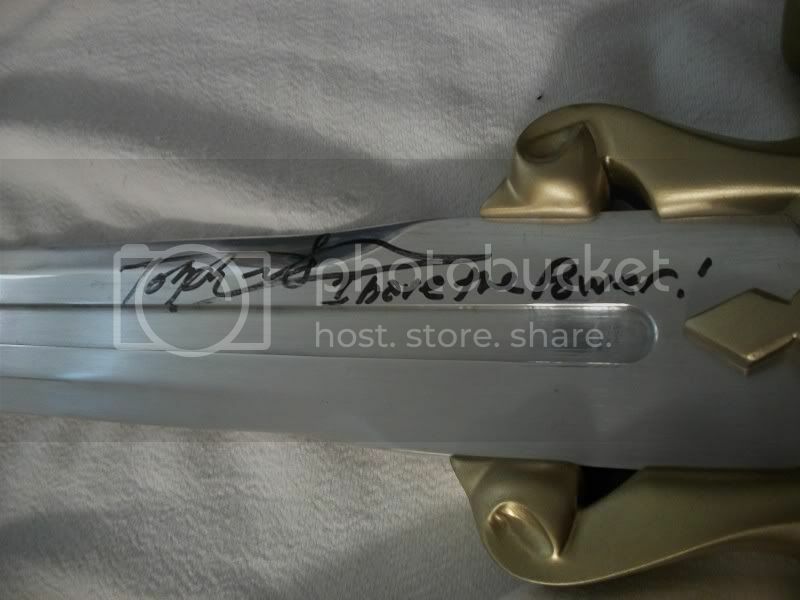 MOTU Dolph Lundgren HIMSELF signs my Sword!! Thread: Dolph Lundgren HIMSELF signs my Sword!! Dolph Lundgren HIMSELF signs my Sword!! Last edited by DolphisMaster; May 4, 2010 at 05:15pm. omg the real laser power he-man!! That is awesome...brought a tear to my eye! Good for you...you are very lucky indeed to have such a beautiful piece. SKELETORTILLA...It's taco night at Snake Mountain! kudos to you for having such a unique MOTU collection peice. Thanks guys!! I hoped you'd be excited about it too! As for the questions, which there were about 10 to 12, there was one about Showdown, yes, there was at least 3 about the Punisher!! Surprised me a little. Others included Red Scorpion, The Expendables (which Dolph does the best Sly Stallone impression I've ever heard!! ), Universal Soldier, directing/writing, his engineering degree, a couple about some of his earlier action films, martial arts, and a crazy woman who just thought he was a beautiful person and needed him to sign something for her. A little psycho. Also, on the Rocky note, as soon as he got to the microphone, he quoted "I must break you." 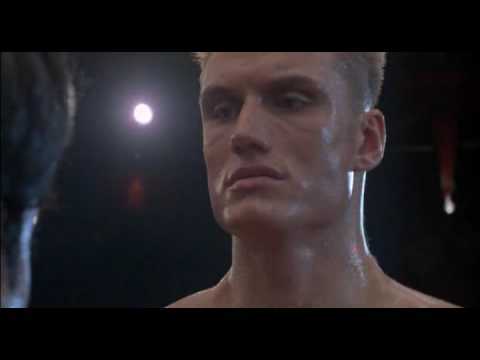 in his classic Drago voice. Through it all, he was cool and funny and had some great stories! Now that's one sweet experience man. AWESOME!! I'd have begged Dolph to say "I will break you"
He seems like a pretty cool dude. Excellent score! My ORG FEEDBACK is here. That's incredible! I'm envious...I'd love to have a replica of this sword. Having it signed by Dolph is so cool. Oh man... that is just too sweet! Freak'n awesome! When I first saw your sword, I thought that was the most amazing replica ever. Now Dolph has held your sword in his own hand! As far as I'm concerned, it is no longer a replica. Your sword has now been blessed by the Powers of Grayskull!!!! On a side note... a lot of the actors who where in MOTU: The Motion Picture live in LA. I would love to see a bunch of them together at a convention during the 25th anniversary! I would totally fly out to LA just to see that. Last edited by Captain Atkin; May 4, 2010 at 06:53pm. Wow! That's SOOO feakin cool! And I love that Dolph kept a power sword from the movie! cool, i know what its like too, i met kane hodder once, man was i stoked! Was that really the title of this movie in the US then? I still have the original movie poster but it was called called Dark Angel. Sweet!! Congrats man that is awesome! This reminds me that I have a quite a few original Lungren movie posters. I have the original Punisher and Red Scorpion as well. Used to get free posters from my local video store. All times are GMT -4. The time now is 09:57pm.